Mouse anti human RIPK1 antibody recognizes receptor-interacting serine/threonine-protein kinase 1, also known as RIP-1, cell death protein RIP or serine/threonine-protein kinase RIP. This antibody has been extensively validated for western blotting using whole cell lysates. Mouse anti Human RIPK1 antibody recognizes the RIPK1, also known as receptor-interacting protein 1 (RIP1), receptor-interacting serine/threonine-protein kinase 1 or serine/threonine-protein kinase RIP. RIPK1 transduces inflammatory and cell-death signals (programmed necrosis) following death receptors ligation, activation of pathogen recognition receptors (PRRs), and DNA damage. 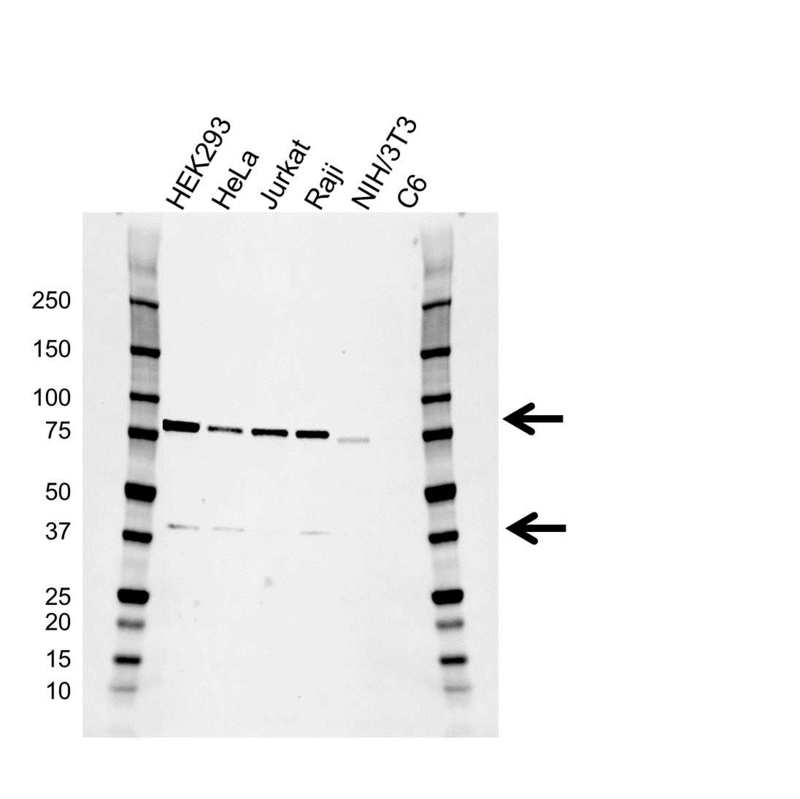 Mouse anti Human RIPK1 antibody detects a bands of 78 and 38 kDa. The full length protein is approximately 78 kDa. The 38 kDa band is believed to be a fragment of the RIPK1 protein. The antibody has been extensively validated for western blotting using whole cell lysates.